Relaxation Day is a day to just sit back and relax. In today's world that's not always an easy thing to do. It always seems we're in a hurry -- places to go, people to see. We schedule, organize, and plan almost every minute of the day, but who schedules relaxation? That's why this day is so important to celebrate. 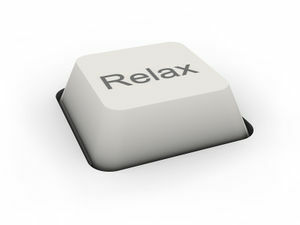 Relax, it will do your mind and body good! A gift certificate to their favorite leisure activity. This page was last modified on 16 January 2016, at 11:14.